OK, so you joined the site and are ready to start training. You look over the program and the sets and reps for each exercise are listed, but what about the warmups for the main lifts? They are up to you, and this article will show you Two Easy Methods for Choosing Warmup Set Weights. It’s all too easy to do too little or too much, or make jumps that are too big and set you up for injury. Some may even be reading this and thinking, “I do my dynamic overall warmup, I’m supposed to warm up with the barbell, too? This is a common error of omission by those new to training, who get online coaching or use programs without a coach. You’re following the program to the letter, but something important is missing. Barbell movements are generally compound movements (squat, bench, deadlift, overhead press, etc.). They involve several muscle groups and, although your dynamic warmup is essential, risk of injury will decrease and performance will improve if you warm up for the compound exercise specifically. Your coach will take all kinds of factors into account when determining your warmups – how you’re doing that day, your mobility, your state of recovery from your last session, your training history. Once you take the bar, your coach will watch how you and the weight are moving to determine the right next set. Sometimes all systems are Go and you can move up in weight quickly, sometimes, not so much. Practicing the lift with a submaximal weight allows you to improve your technique. 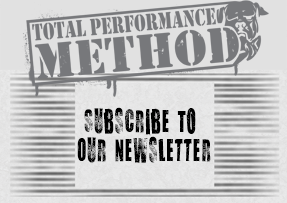 This allows you to focus well on the task at hand and make adjustments to form/technique in a controlled situation, in which you don’t have the added burden of heavier weight, or the advantage of bracing against the weight (i.e., you can learn to be proactively tight). If your technique is subpar at a submaximal weight, it’s not going to get better under load. This will result in massive technical breakdown – and very likely injury – under a maximal load. Volume is the critical factor in building strength. If you’re not familiar with the concept, it’s your total workload, the weight you move multiplied by the times you move it. It’s as if you’re putting bricks in a pile instead of lifting plates – how big is that pile at the end of the day, week, month? And yes, warmup sets count! So it’s a chance to add some volume to get stronger faster. The catch is you don’t want to take away from your work sets or increase your recovery needs, so we don’t want to accumulate too much volume here. But, just enough will give your training a great boost, while it does all the other great things a warmup does. Personally, I prefer most warmup sets to be singles. It’s a good way to work up gradually and NOT cross into that too-much-volume red zone in your warmups. You also don’t accumulate fatigue during singles like you would triples or sets of 5, and warmup is not the time for fatigue! How long should I rest during warmups? So definitely avoid fatigue, but don’t rest for too long. No more than a minute until you get to the heavier weights, and then just a little longer, two minutes being the absolute max for most lifters. It’s a warmup, not a rest-up, buttercup! Obviously in the higher weight ranges, such as a 900-lb squat, and for multi-ply gear you might extend the rest periods, especially at the heavier sets. It seems like a lot to think about and hard to get right. Even if you have a coach and need to make up a session on your own, while traveling, etc., it’s a skill you should have to always get the most out of your training. Below are 2 methods we use for determining warmup sets, demonstrated on examples of heavier and lighter work sets. These are purely guidelines; feel free to adjust as needed and take what works for you and toss what doesn’t. Full disclosure, this is the more “meathead” way and also my preferred method (big surprise, but the reasons aren’t totally meathead-y, as we’ll see later on). It’s pretty easy to figure out and even easier if you squat over 3 plates per side, it practically structures itself. It’s not as precise as Percentages, but micromanaging isn’t necessary here. Now let’s look at a lifter with a much lower squat and see how it would shake out if you can’t use plates and quarters. This method at lighter weights needs “snack chips,” or 2½ lb plates. Looking at the above examples, we see the Plates & Quarters way has more sets, and 505 pounds less volume in the Heavy scenario, 120 less for the Lighter scenario. That 505/120 can be too much, or the perfect amount to make progress, depending on your recovery and other factors. 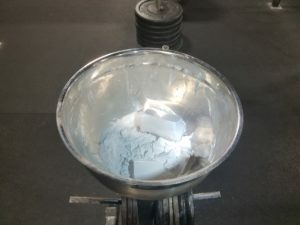 As I mentioned, I like Plates & Quarters and now I’m ready to tell you the non-meathead reasons why: It is a pretty easy way to add the appropriate amount of volume for a warmup. And more singles mean more chances to be perfect, or more chances to improve, to practice the lift without a hint of fatigue. We all need to improve and this style of warmups gives you the chance. If you choose rest periods well, Plates & Quarters will only add about 6 minutes to your training session at the most. A note for the lighter-range lifters: despite the lower volume, we do see an extra set in the percentage example. This presents a tradeoff, do an extra set or add more volume? I think at that point, recovery is a huge factor. Either way will work, but if recovery is off, a little less volume over more sets may be the way to go. Now Go Do Those Warmup Sets! Using either of these two methods as a basic guideline should set you up for success next time you need to structure warmup sets on your own. The examples have served us well at TPS, but they’re not carved in stone and they are designed to be tweaked according to what works for you. Maybe you want to make plate jumps in the early sets and go to plates and quarters as it gets heavier, or maybe you just do better with a more gradual increase from the start. You now have a solid baseline to work with. I think coaching is more of an art than a science, and there is a lot of art to warmup sets, but you have to know the science first.